Exercise won’t just give you a healthier physique, it will also make your skin glow too! Working out increases blood flow, and over time this can help make your complexion look more radiant. 2. Your diet isn’t healthy. You are what you eat! Foods rich in omega-3 fatty acids, such as walnuts and salmon, help your skin retain moisture and prevent dryness. Stay away from sugary and starchy foods, as they cause skin inflammation that could possibly lead to nasty breakouts. You can’t get glowing skin on three hours of sleep. Remember, your body neutralizes skin-aging free radicals during sleep so make sure to get the recommended 6-8 hours each night. 4. You ditch the sunscreen. We've said this again and again. Sunscreen is important. The sun’s rays don’t just dry out your skin, they also cause up to 90% of skin wrinkles. So before heading out, make sure you are protected by using a broad spectrum sunscreen—meaning it can protect you from both UVA and UVB rays—that has an SPF of at least 30. 5. You don’t exfoliate regularly. Exfoliation gets rid of dead skin cells to reveal youthful, glowing skin. Not a fan of scrubs? You can use kitchen staples such as oatmeal or sugar as all-natural exfoliants. Mix them with just a bit of olive oil or milk and scrub away. 6. You’re not using a moisturizer. Dry skin looks dull and tired. That’s why a good moisturizer should be part of every lady’s skincare routine. Unfortunately, not all moisturizers are created equally. Your choice of moisturizer should depend on your skin type and lifestyle. This is exactly what Neutrogena’s Hydro Boost Water Gel promises with its unique formulation that instantly quenches skin like a gel, but locks in moisture like a cream for all-day hydration. Its unique water gel formula is quickly absorbed by the skin and has the intense moisturizing power of a cream moisturizer. It also contains purified hyaluronic acid, a naturally occurring skin substance that acts like a sponge for dry skin, moisturizing up to 1,000 times its weight in water. This product is also oil-free and non-comedogenic, so it won’t block your pores and cause breakouts. You can even wear it under makeup—it’s a great primer! 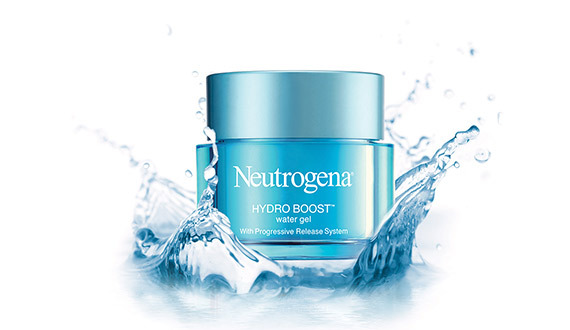 For more information about the Neutrogena Hydro Boost Water Gel, check out their website here.